I fried 2 fish on Monday, totally over estimated my family’s hunger. So today I decided to recycle the left over friend whole fish, instead of dipping it in fish sauce, decided black bean sauce on top would go well with the dish. Heat up the oil, stir fry onion until fragrant, add blackbean sauce, hoison sauce and chicken stock, stir fry for 1 minute. 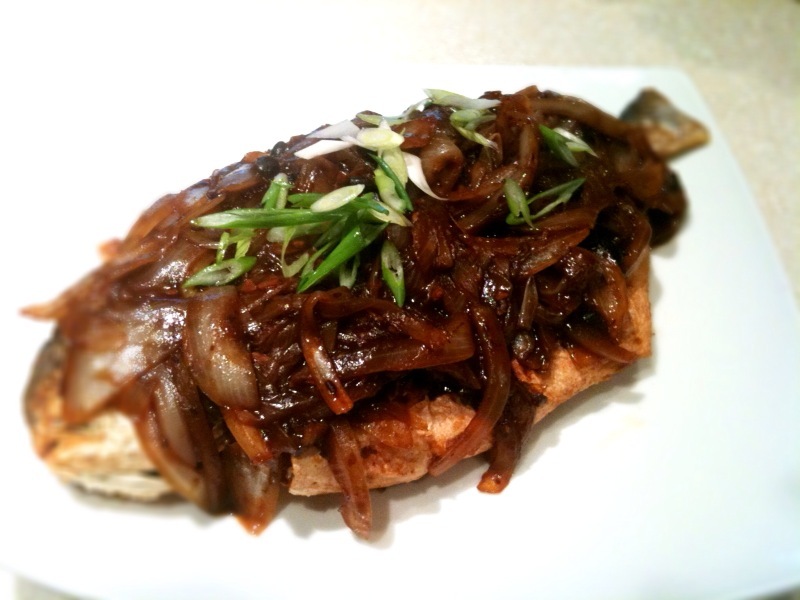 Pour the finished sauce over fried fish, add green onion on top for garnish.